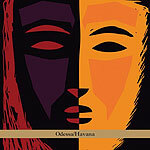 CD reviews: "Odessa/Havana" and "Herencia Judia"
These reviews first appeared in the February 21, 2008 issue of the North County Times. The 1990s saw massive growth in both awareness of and audience craving for both Cuban and Jewish folk music. From the klezmer explosion that came out of New York City to the popularity of the Buena Vista Social Club and other Cuban bands, Jewish and Cuban musics were among the most popular styles driving the growth of the so-called "worldbeat" market. Now, the two are being fused together in two separate, apparently unrelated releases. Given the relatively small Jewish communities in the Caribbean, it's truly remarkable to find two releases tackling the same concept of creating a Caribbean Jewish style of music. What's also remarkable is how well both releases work at crafting a style that draws equally on both traditions. 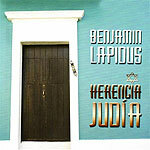 Benjamin Lapidus' set is designed as a collection of Caribbean-Jewish worship music  what Lapidus called in the liner notes a "syncretic Spanish Caribbean Jewish liturgical music from the synagogues of La Havana, Santiago or San Juan." If sprung from the mind of Lapidus rather than deep-seated cultural traditions, the results are nevertheless remarkable. Lapidus and his fellow vocalists sing in both Spanish and Hebrew (often in the same song) as they run through Passover haggadahs, concluding prayers and even a kaddish for murdered journalist Daniel Pearl. But if the lyrics and purpose of the songs derive from the Jewish faith, the forms Lapidus has chosen are strictly Spanish Caribbean: bombas and bembes, changuis and batas. Never once does any of this sound (or feel) anything other than natural and organic; Lapidus points out in the liner notes that he has family spread throughout the Caribbean, and he has clearly internalized these two strains of his family, the Jewish and the Spanish Caribbean. David Buchbinder's "Odessa/Havana" is a much more secular effort, with a strong streak of jazz and the shared tradition of improvisation the common element between the Eastern European klezmer and the Caribbean Latin styles. The nine-piece combo is co-led by Buchbinder on trumpet and Cuban pianist Hilario Duran, and is sprinkled with both klezmer and Cuban musicians. While the Lapidus effort was a musical stew, with everything mixed in together, "Odessa/Havana" is more like a salad, with the ingredients existing side by side without really blending. The Cuban strains and the Eastern European themes co-exist in a way that lets them complement one another. The only real synthesis occurs by necessity in the rhythmic structures, which tend to take the polyrhythmic Afro-Caribbean traditions and apply them to klezmer figures with a bit of salsa thrown in to keep things fresh. Like "Herencia Judia," "Odessa/Havana" is an intriguing listen, one that works more often than not and helps create new, exciting sounds.